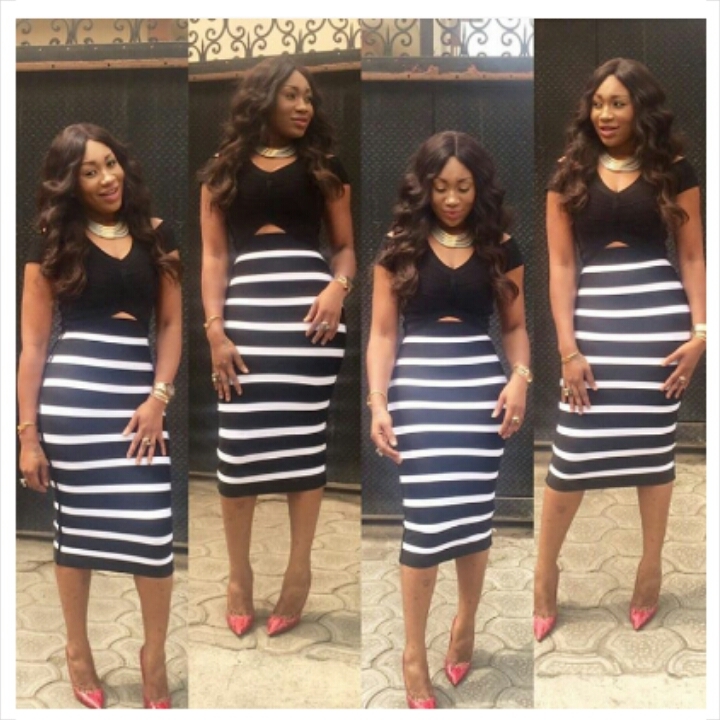 Stripes for bottoms,plain for top, red pumps and bold neckpiece, the actress showed us how to style a midi skirt and crop top. You like? She always look stylish with her killer hips! Shez always been a slayer!!! Dope outfit I love it.